Good dental care is important not only to keep your family’s teeth healthy, but to identify serious problems and to prevent other health issues as well. Improper dental care can result in gum disease that can actually cause other health problems like heart disease. Fortunately, your family can avoid many of the problems tooth decay and other oral health problems pose by following a good dental care routine that includes regularly visits to your family dentist in Newnan. Here’s what you need to know about keeping your mouth healthy. Most people know the importance of brushing and flossing, but it can be difficult to convince children of its importance. Any foods that contain sugar or starch create an acid when they meet with plaque bacteria that’s in everyone’s mouth. This means that the acid attacks the tooth enamel, which weakens it and makes the tooth more susceptible to decay. But, brushing twice a day, especially after breakfast and before bed, can drastically reduce the chances of tooth decay. 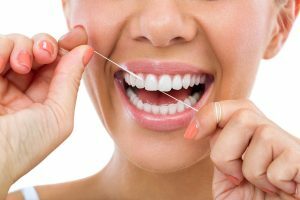 In addition, flossing removes food that can hide between teeth causing more problems from plaque. Children can easily get cavities if a regular oral health routine is ignored. Start brushing your children’s teeth as soon as they come in. Children may have difficulty brushing their back teeth effectively, so when the permanent molars come in around age 6, it’s a good idea to have the dentist put sealants (a thin, protective coating) on these molars to help prevent decay in the fissures and pits of the teeth. Fluoride is one of the best ways to prevent tooth decay. Fluoride strengthens the tooth enamel and, in some cases, can even help stop decay that has already started. Fluoride is often found in your drinking water supply. However, if your water isn’t fluoridated, family dentistry in Newnan can provide in-office fluoride treatments and you can also use toothpastes and mouthwashes that contain fluoride. Nutrition is another important aspect of good oral health. Eating often between meals provides more opportunities for plaque to attack the teeth, especially since snack foods are often high in sugar and starch. Encourage healthy snacks like vegetables or fruits with lower sugar content. Choosing healthy snacks or eating fewer snacks throughout the day will improve overall health as well as oral health. A crucial component of good dental health is regular visits to the dentist. These visits should be twice a year. 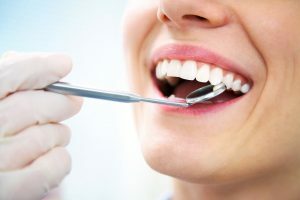 In addition to a thorough cleaning that removes plaque buildup on the teeth, the dentist will do x-rays as well as an exam to check for gum disease and decay on the surface of the teeth as well as inside the teeth. This allows any problems to be addressed right away before they become more serious.